The Grasberg Mine, A joint venture between Rio Tinto and Freeport-McMoRan is one of the world’s largest single producers of both copper and gold, and contains the largest recoverable reserves of copper and the largest single gold reserve in the world. 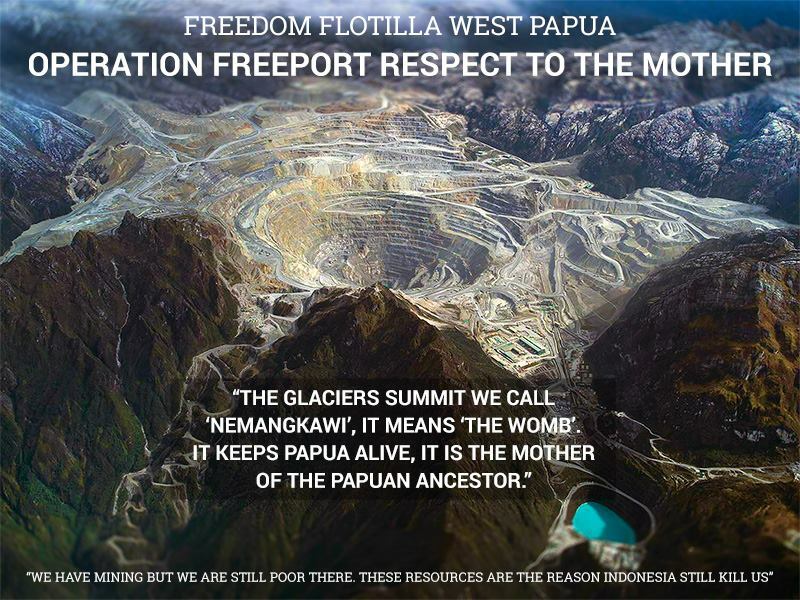 For over 40 years the mine at Freeport in West Papua has caused massive ecological destruction and inflicted appalling human rights abuses, ignoring the rights of the lands of the Amungme and Komoro peoples whose land it has plundered. – violation of children’s right to protection. – will leave a legacy of over 2.7 billion tonnes of waste. This entry was posted in Uncategorized and tagged ecological destruction, Freeport, Freeport McMoRan, human rights violations by unitedstruggleproject. Bookmark the permalink.